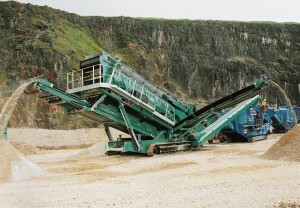 SpecDrum supplies some of the world’s Leading Brands synonymous with the Crushing and Screening industry. Our pulleys are manufactured from a single piece rolled plate, continuously welded end plates and extra strength intermediate plates as required. Our entire drum pulleys are machine crowned to enable proper belt alignment and water dispersion. Straight faced pulleys are also manufactured, but must be specified by the client. Or simply welded directly to the end plate. Our pulleys are manufactured under experienced supervisors in our factories in Ireland and China, in order for them to be able to withstand the harsh environment of the quarrying, crushing, screening and conveying industries in which they have to perform.